We are very keen to hear your views about Meadowbrook College - especially when we have done a great job! Please do not hesitate to email/call us and let us know how your child is getting on or if you need to talk to us about something you need support with or that we need to think about doing differently. Feedback helps us improve our provision and directly impacts on our students and hopefully you as parents/carers. It is also always great to be able to share positive feedback on our website. You can also confidentially give your views using Parent View. We receive the feedback but your comments are anonymised. 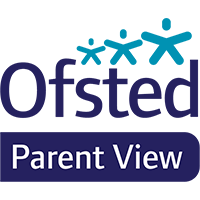 Please click the icon above to access Ofsted's Parent View where you can leave feedback and read responses from others.